Researchers are using underwater microphones to help better understand the extensive array of animals living in oyster reefs. 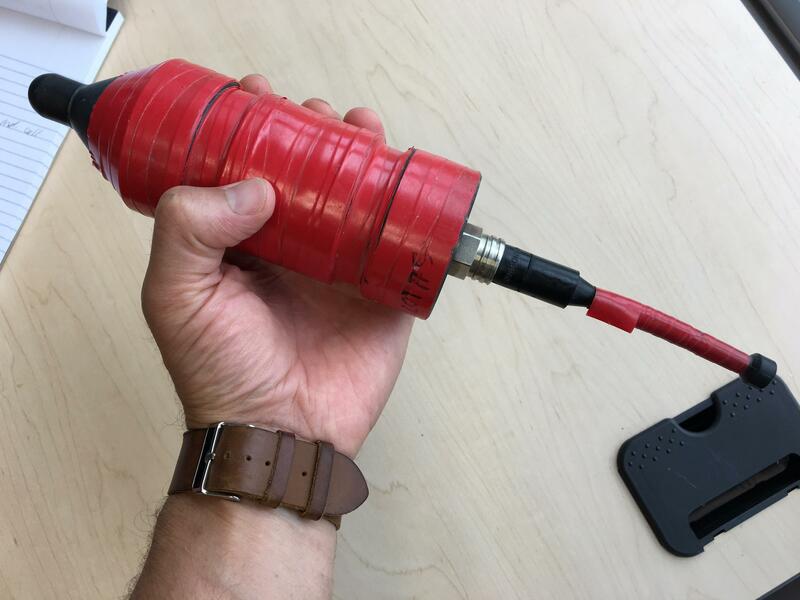 Underwater microphones called hydrophones can help detect what kinds of animals, other than oysters, are using the reefs and why. In the 1600s, oysters reefs were so robust in U.S. waterways that they created a hazard for ships. But centuries of harvesting the delicious bivalve have decimated these reefs, which serve as breeding grounds for future oysters. 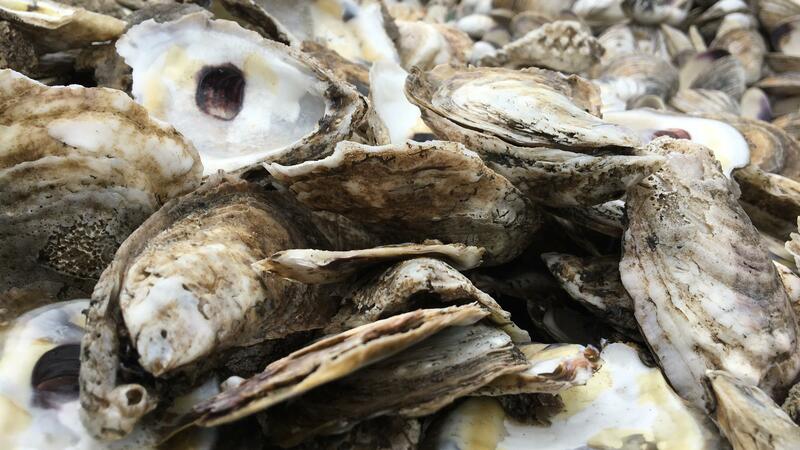 That's why nearly every U.S. state with a coastline has a program to rebuild oyster reefs. The North Carolina Department of Environmental Quality's division of marine fisheries uses barges to haul massive piles of spent oyster shells and other hard materials, like granite marl and concrete, to reef sites in Pamlico Sound. They then use large water cannons to blow it all off the deck and into the shallow, sandy waters. The shells and other materials provide habitat for oyster larvae to attach to, so they can grow and be harvested. The fisheries division knows the reef program is good for the state's $2.4 million oyster industry. But it's still unclear what the larger impact of these reefs are in terms of increasing biodiversity. "It's what we call data gaps," says Jason Peters, supervisor for the state's oyster sanctuary program. North Carolina State University Ph.D. student Olivia Caretti is hoping to fill in some of those gaps by using a relatively new method for monitoring aquatic life with underwater microphones, known as hydrophones. "It's like a little compact torpedo-looking thing about the size of your hand," Caretti says. She is using these hydrophones to document which animals, other than oysters, use these reefs. And what she's found so far has been enlightening. An unstructured muddy bottom in Pamlico Sound, with no oyster reef, is mostly low frequency audio. "The only sounds you hear are either water movements or low frequency fish calls," Caretti says. Life on an oyster reef sounds a lot different. It has plenty of low-frequency fish calls, but also a lot of high-frequency invertebrate activity. "You can hear some grunts and knocking sounds. Those are certain types of fish," Caretti says. "You can also hear a lot of snaps from the snapping shrimp." Caretti has been recording for two years and has more audio than she could ever listen to. She does most of her analysis by using spectrograms, which are visual representations of the audio. "The spectrograms are helpful," Caretti says, "because a lot of frequencies we record are inaudible to the human ear." Caretti also uses traditional methods for monitoring oyster reefs, like trapping fish. But these techniques can be invasive and can only obtain brief snapshots of life on the reef. By recording around the clock, Caretti can document which species of fish and invertebrates use these reefs and why. For instance, she's learned oyster toadfish hoping to meet a mate use the reef like a singles bar. "They're communicating with each other and also with females of that species," she says while listening to scores of oyster toadfish honking in a cacophonous chorus. Caretti has been tracking the change in biodiversity in these habitats over time and has found that shell reefs attract more aquatic life than reefs made out of granite marl or concrete. This could suggest it's more valuable to dump shells into the water rather than other materials. Caretti's findings are still preliminary, but they come at a good time. The North Carolina Coastal Federation announced in August that it wants to grow the state's oyster industry by more than 10 times by 2030, from $2.4 million to $30 million. And while that might be music to the ears of fishermen, it'll sound a whole lot different when heard through a hydrophone. Listen to audio of this story, which comes to us from member station WUNC in North Carolina. James Morrison is an environment and food writer in Chapel Hill, N.C. You can follow him on Twitter at @JCMorrisn.